We have some great news to announce. 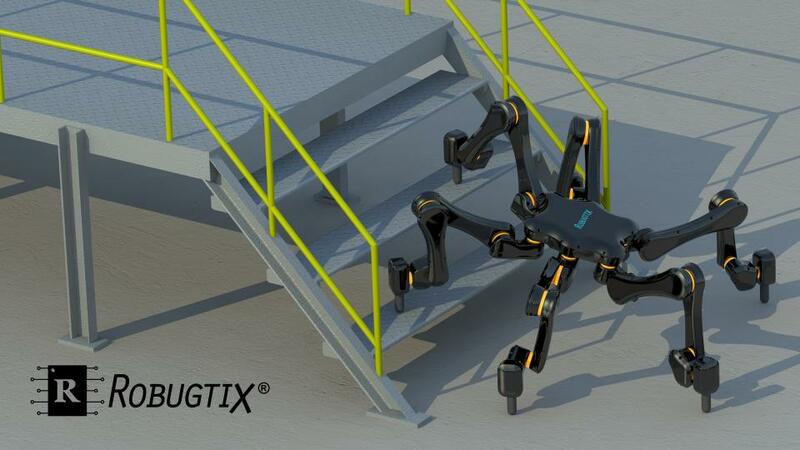 Robugtix is expanding its product line to include professional use robots! The result of several years of accumulated research, engineering and simulations, here is a preview of Robugtix’s newest design, the large-scale, weather-resistant W6 robot. The W6 was designed as a multi-purpose platform readily adaptable to different applications. Weather-resistant, for use in industrial or hazardous environments. Customizable with a variety of tools and sensors which can be custom-designed based on client’s specific needs. Ability to climb stairs and walk over irregular surfaces. All systems are custom-engineered from the ground up to deliver extreme performance and reliability. Runs on the latest proprietary software Bigfoot™ Robotics Engine Pro 2.0. This software has been expanded with 15 times more code than its previous version, with new and blazing fast advanced robotics algorithms. Special pricing packages and plans are available to early adopters of this technology. Box Design and Launch Date! Copyright © 2019 Robugtix Ltd. All rights reserved. Robugtix™ is a trademark of Robugtix Ltd.